This news conference will start at about 10:00 am. Our report on what this August 2017 Monetary Policy Statement means is here and will be updated as necessary following this news conference. 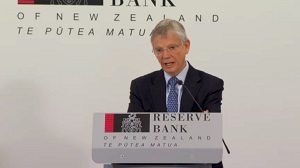 The RBNZ MPS media release is here. Today's full Monetary Policy Statement is here. When the live news conference is finished we will place a video recording of it on this page as soon as it becomes available. "Resurgence in property prices due to immigration and building costs"
The new norm and the new trend is the transitioning from an unipolar world to a bipolar world. Watching the student falling asleep in the livestream summed it up perfectly. LOL - But which is more funny dictator, the student falling asleep or the fact we are watching him do it?